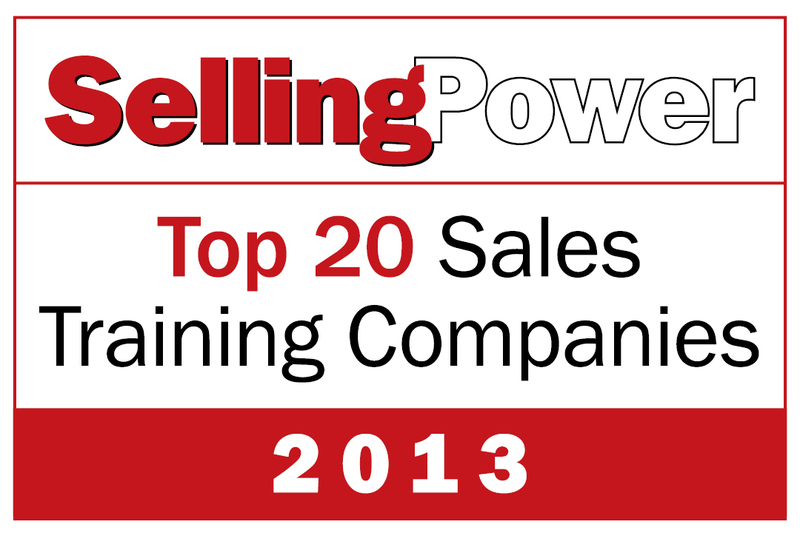 Each firm included on our 2013 Top 20 Sales Training Companies list has the potential to help you get better results, not just for your team and your company’s bottom line, but for your customers, as well. The five criteria used when comparing applicants and selecting the companies to include on this list were 1) depth and breadth of training offered, 2) innovative offerings (specific training courses or methodology) or delivery methods, 3) international capabilities, 4) ability to customize offerings, and 5) strength of client satisfaction. The summaries below give you a quick snapshot of each company’s major offerings. We encourage you to visit their Websites and social networks to learn more. AchieveGlobal helps organizations translate business strategies into results by developing the performance of their people. Across industries and in 40 countries around the world, Achieve Global's clients rely on its skills training and consulting expertise in leadership development, customer service, and sales effectiveness. By implementing research-based learning solutions, AchieveGlobal empowers clients to successfully develop leaders and acquire, grow, and retain profitable customer relationships. Its clients succeed due to AchieveGlobal's continued commitment to original research, yielding important strategic information about customer needs and business trends, as well as measurable results, the primary goal of skills training. Since 1996, in more than 25 countries, ASLAN has focused on accelerating change within many of the world's largest sales organizations. Beyond the typical workshop, its solutions and expertise are focused on the four critical areas needed to ensure sustainable change: Tactics – establishing the methods (i.e., processes), message, and metrics that are consistent with high-performing sales organizations; Rep Development – customized skill-development programs for each of the 11 unique sales roles; Leadership Development – providing the tools and programs to ensure sales leaders transition from just measuring performance to truly driving change; Road Map to Transformation – includes leadership certification, rep and manager development resources, and sales dashboard to track and measure the three areas that drive results. For more than 20 years, AXIOM has been elevating the sales profession by transforming the way sales organizations engage with customers and sales managers lead and coach. AXIOM clients enjoy unique solutions that combine sales methodology, integrated software solutions, and implementation services that achieve exceptional results, including improved customer satisfaction, increased revenue and margins, and lower customer and sales-team churn. The Brookeside Group is a solution-based business that helps B2B companies build stronger, more profitable business relationships. Its powerful customer relationship analytics software, Brookeside INSIGHT©, captures your customers' perceptions and provides actionable recommendations on how to meet their needs. Those actions drive improvements in relationship loyalty that, in turn, deliver more sustainable competitive advantage and stronger, more predictable revenue. Additionally, Brookeside delivers consulting and training services to embed best practices and drive revenue growth. The Brooks Group – Founded in 1977, The Brooks Group works closely with its sales-training clients to pursue its mission of "forg[ing] sales cultures through sustainable behavioral change." Longtime believers in the importance of ongoing reinforcement, Brooks leads the way in group sales coaching and distance learning technology. The success of the IMPACT Selling© Methodology is borne out by a unique combination of decades of experience and one of the largest research projects focused on sales interactions ever conducted. Brooks also couples its sales-training expertise with whole-person sales assessments that help its clients hire, train, and retain only top-producing talent. For more than 35 years, Carew International has established its reputation as a leader in the customized design and delivery of programs that dramatically improve performance in sales, sales leadership, inside sales, and customer service. Carew leadership engages human resource and psychology experts, internal and external thought-leadership professionals, and world-class sales research to develop unique, comprehensive, and results-oriented curricula. Carew's holistic approach goes to the core of sales and business development by honing the skills, methods, and attitudes necessary to become value-creating sales professionals who cultivate productive long-term business relationships. Carew's clients are among the most recognized and respected names in worldwide business, and their leadership in their respective industries speaks to Carew's competitive advantage. Executive Conversation is a global provider of business-skills sales training. 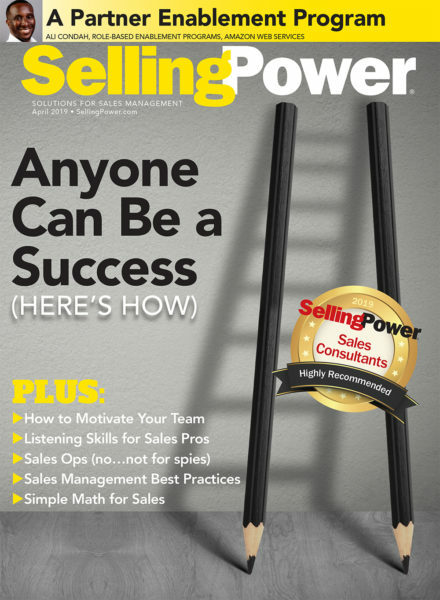 In contrast to traditional sales training, in which former sellers present techniques to other sellers, clients choose Executive Conversation for the curriculum's unique buyer's perspective. All on-site and online training is delivered by accomplished executives who share their insight gained in careers making investment decisions. Blended with its award-winning Know It Now online learning portal, Executive Conversation delivers in seven languages and has successfully trained professionals in more than 60 countries. Executive Conversation is the only sales-training provider whose curriculum is accredited by the International Association of Continuing Education and Training. Being a significant contributor to the growth and success of several of North America's leading organizations has propelled Fusion Learning from start-up in 2000 to one of the most successful sales-effectiveness firms today. Fusion clients benefit from implementing practical approaches to drive revenue, profit, and customer engagement. Unique program offerings set Fusion Learning apart, including Strategic Sales BluePRINT, which offers sales executives with a facilitated process to articulate their three-year sales strategy and make it actionable, and StorySelling, which develops sales professionals' ability to craft and tell memorable, intentional stories at critical stages in the client's buying process. Fusion Learning's largest segment is financial services and industry leaders including 3M, American Express, BlackRock, HSBC, Molson Coors, Pfizer, PwC, SAS, Scotiabank, and US Cellular. Holden International is a global leader of sales-performance training and consulting. Since 1979, the Holden International team has helped more than 1,000,000 sellers in 50 countries. Through its ongoing innovation, Holden continues to teach the complexities of modern, professional selling in even more practical and easier-to-master ways. 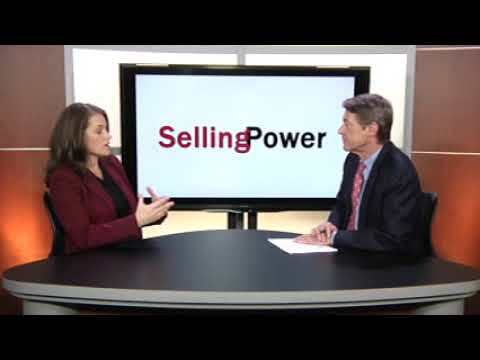 Its Power Base© Selling Performance System presents sales as a management science, enabling clients to increase market share and customer loyalty by sharpening how they sell to increase the value of what they sell. Holden International's flexible, modular system combines research, assessments, customized training, deal coaching, software, and consulting, and the firm partners with clients to create world-class employee development offerings that are relevant, measurable, and embraced by their corporate cultures. IMPAX, a global sales-performance improvement company, helps organizations improve their selling, account management, channel management, and sales-leadership efforts to drive business results. IMPAX works with companies to help make price less relevant, fight commoditization, win executive-level credibility, and create competitive differentiation. The firm provides complete end-to-end solutions such as consulting, tailoring to include content and tool-kit customization, training, reinforcement sessions, coaching, internalization workshops, and train-the-trainer certification. Everything is focused on an implementation-oriented solution that can be measured and drives real behavioral change and results. IMPAX covers the entire B2B selling spectrum – tactical to strategic – by providing more than just skills and strategy. Founded in 1960, Mercuri International is a global sales-training and sales-consultancy organization with an international network that spans more than 40 countries, employs more than 400 people, and maintains a network of 100-plus associate consultants. The annual turnover is around $78 million, of which more than 30 percent is generated from internationally coordinated projects for large international customers. Mercuri International provides open courses in a number of countries, but the majority of the business is built on customized in-company sales development projects. Based on the global footprint, number of consultants, size of its client base, and results achieved by clients, Mercuri International is one of the global market leaders in sales development. Miller Heiman is the go-to resource for organizations looking to propel growth through the sales function. The Miller Heiman Sales System© offers a framework to guide sales leaders in organizing their strategies and building a high-performance engine that attracts and keeps the best salespeople and ensures precise execution in front of customers. Its solutions include consultation on strategic issues, coaching workshops to build management effectiveness, post-workshop sales management tools to promote salesperson effectiveness and productivity, assessment tools to more effectively fill sales roles and reallocate team members, and an extensive library of sales performance thought-leadership publications and research. PI Worldwide and its global consulting network combine the power of predictive data with business expertise to help organizations worldwide achieve a competitive advantage. Trusted advisors since 1955, the PI Worldwide team helps businesses align their people with their strategy to create long-term sustainable results. PI Worldwide's clients realize measurable value through its scientifically proven talent-management analytics, philosophy of self-sufficiency, and knowledge-transfer approach. Sales-training programs include Customer-Focused Selling™, which leverages insight from the Selling Skills Assessment Tool™ to evaluate and improve individual sales skills. The Coaching for Sales Growth™ program incorporates the Predictive Index© behavioral assessment, providing sales managers with the motivational and behavioral insight to support, guide, and coach their people long term. Founded by Keith Rosen, pioneer of sales management coach training and author of the award winning, Coaching Salespeople Into Sales Champions, Profit Builders helps companies create a thriving coaching culture by transforming managers into world-class coaches. Through its proven sales coaching methodology, framework, and transformational thinking, Profit Builders helps salespeople and managers achieve their business objectives faster, increase sales, improve forecast accuracy, turn around underperformers, and develop and retain top talent. As global leaders in developing coaching cultures, Profit Builders has delivered a measurable ROI for thousands of top sales organizations on five continents and in more than 50 countries, including 25 percent of Fortune 1000 companies. The philosophy is simple: Sales training doesn't develop champions. Managers do. Richardson is a global sales-training and performance-improvement company. With more than 30 years of experience, Richardson creates customized solutions that build organizational ability and improve the individual skill necessary to drive business outcomes. Richardson also helps leaders ready their organizations to execute sales strategies and improve financial results. Having worked with many of the world's largest companies, Richardson possesses the expertise and resources to support organization-wide global initiatives within the client's time frame. In partnership with its clients, Richardson can identify sales best practices, evaluate talent, and build and sustain skills and knowledge through innovative sales training and coaching. The breadth and depth of its customization remains a distinct competitive advantage, ensuring that each solution reflects the unique culture of its clients, driving rapid adoption and results. Sales Excellence International is a global sales-training organization with representation on six continents, including local, native-speaking trainers and consultants. Since 2001, Sales Excellence International has helped hundreds of companies of all sizes grow their client base, increase revenue, and keep more profit, providing custom-tailored training programs delivered as on-site workshops, instructor-led Web workshops (Webinars), and HD video eWorkshops (eLearning programs), as well as licensed courses and train-the-trainer certification. Sales Excellence International specializes in blending a variety of learning mediums into a customized training and reinforcement curriculum designed to produce observable, measurable, and lasting changes in sales behavior. A suite of sales-empowerment software applications that are integrated to Salesforce, Microsoft Dynamics, SAP, Oracle, and others is also offered. Sales Performance International (SPI) is a global sales-performance improvement firm. It exists for a singular purpose: to help companies drive measurable and sustainable revenue growth. SPI helps corporations transform their revenue engines to market and sell high-value solutions - to build a lasting foundation for sustainable top-line growth. SPI offers the industry's only comprehensive Sales Performance Optimization Platform. This integrated approach to optimizing sales growth and results is comprised of three core components: Right People - scientific assessment of the specific talent requirements for your sales models; Right Process - aligning sales process, methods, and continual learning to buyer behaviors; Right Tools - integration of enabling technologies to foster process adoption, efficiency, and effectiveness. Sales Readiness Group (SRG) is a leading provider of customized sales and sales management training programs for corporate sales organizations. SRG's comprehensive training programs include pretraining consultation and customization, assessments, on-site and online delivery, ongoing reinforcement, post-training certification, productivity tools, and coaching plans. Recognized as an industry leader in virtual instructor-led training, SRG leverages technology to implement training programs that deliver sustainable sales results. ValueSelling Associates equips sales professionals all over the world to compete on value using a time-tested methodology with decades of proven results. Tenured associates create tailored sales-improvement training programs for clients' sales organizations, including sales leadership. ValueSelling Associates offer a broad range of delivery choices, including blended learning, e-learning, and instructor-led and virtual instructor-led programs. ValueSelling Associates is a global company with a depth of language capabilities. ValueSelling Framework and ValueSelling Essentials programs provide the tools, skills, and processes for clients to effectively qualify, advance, and close more sales with higher margins. Wilson Learning is a leader in developing sales organizations around the globe. The Wilson Learning team works with companies to get tangible game-changing results: A global software provider boosted sales 21 percent after its salespeople learned to create better solutions targeted to clients' business needs. A global chemical company boosted sales by $12.8 million by developing a consultative selling culture. A premier, global, fine-art auction house increased revenue by an average of 18 percent through advanced negotiation skills. Wilson Learning uses a systems approach that goes far beyond a quick fix, zeroing in on growth goals and gaps and helping companies address issues critical to their business, such as managing a price increase, staving off competitive threats, and growing revenue and margins.